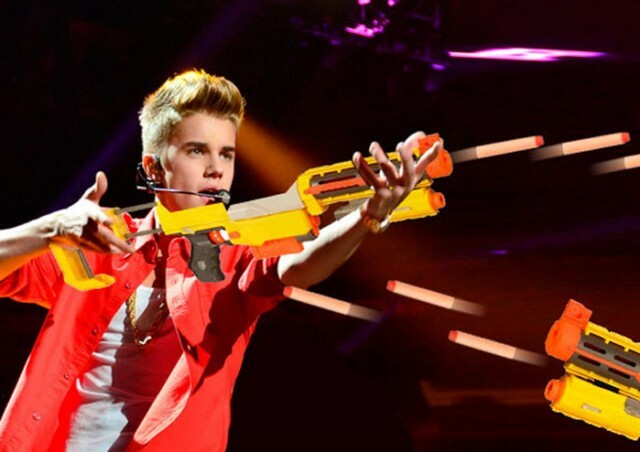 That’s right Justin Bieber is being investigated for assault shooting a woman with, get this… a Nerf gun on accident while playing with his family. The woman from Canada where the “assault” took place says that she was struck by a stray bullet (Nerf bullet, we might add) and immediately went to police to file a police report, claiming she was assaulted by the Bieb. We really have to laugh about this and just can not believe how far some people will go to try and make a buck off of celebrities… actually yeah we can.